Today, ChinaDivision.com releases its new version for a better user experience. Just go to www.chinadivision.com, check it out what’s new for you! 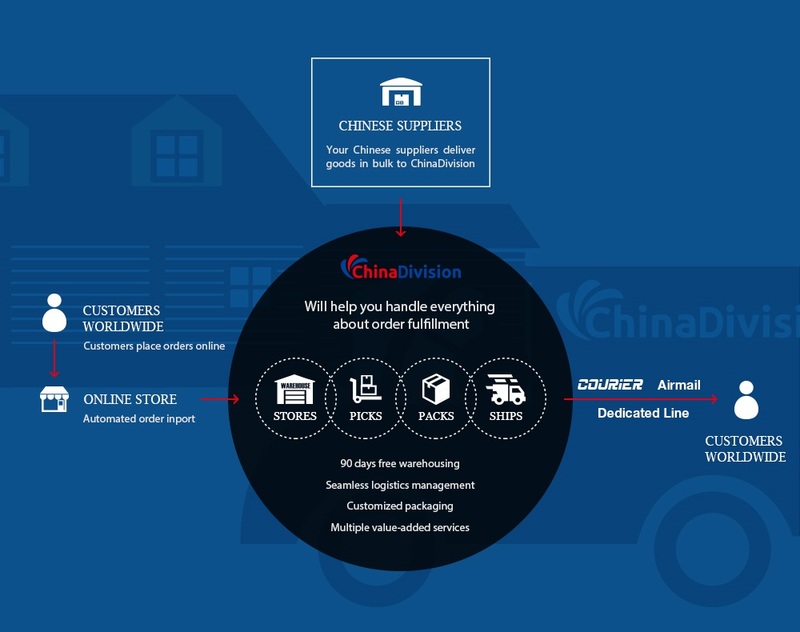 The new version will open a door for you to learn more detailed information about your order fulfillment agent in China—ChinaDivision. When you walk into the door, you can find the services you need more easily and specifically. There are also a variety of real cases for your reference if you are looking for the similar solutions. Last but not least, shipping information about specific destination countries will be available. You are welcome to check them at the bottom of the website. Want to Learn More about ChinaDivision? If you ever partner with ChinaDivision, you will know ChinaDivision is a dedicated China local office where clients around the world connect, both online and offline, to source, stock and ship international goods directly from China. In the new version, “About ChinaDivision” will also show you ChinaDivision’s professional and energetic team as well as it’s well-organized and technology-oriented warehouse. A flow chart of clarity and simplicity will illustrate how it works to help your business. Some of you are struggling for sourcing the right products within budget, others are considering outsourcing the tedious order fulfillment including warehousing, picking, quality checking, packing, shipping and returns handling etc. Moreover, when your business is on the right track, you will concern about brand upgrading. Considering the above customer demands, ChinaDivision focuses on resource integration and offers a one-stop solution for every client. After the revamp, you can find what you need much easier and faster to avoid a time-consuming search of unexpected information. You possibly only have a vague idea about order fulfillment after a browse of the previous web pages. Want to know who’s partnering with ChinaDivision? How does ChinaDivision helps? What do they benefit from? What do they say about services of ChinaDivision? Just follow up “Case Study”, the following typical cases will come online for your reference. Perhaps you are an Amazon seller looking for a cost-effective logistics solution to ship goods from China instead of FBA, or you are a Kickstarter crowdfunder seeking ways to send rewards to your backers urgently to make them happy. There are also some of you operating your own brand online fashion shop and attempting to promote brand via customized packaging or some marketing inserts. As your China-based office, ChinaDivision is committed to making your business more efficiency and less cost. Check out cases of ChinaDivision’s partners to see whether you have the similar demands. Checking Shipping Information about Specific Countries? As an eCommerce businessman, you always care about shipping cost, shipping time and shipping methods. With an international selling network, you may have customers all over the world. To save your time and to satisfy your specific needs, ChinaDivision provides shipping information about different countries, including shipping methods and features, local customs’ tips, contact information about international express and postal services etc. Currently, pages about Australia, United States, United Kingdom and Canada have been online. Go and check them! For more information, please visit the ChinaDivision.com. In general, the new version is released based on client feedback and user behavior, thus you will be more accessible to the target information. Want to start an order fulfillment inquiry right now? ChinaDivision is ready!